outing…also very special in its own right. one for herself and one to offer to me. – Cut the pan de sal in half but not all the way. Stuff with ricotta cheese and firmly press close. – Whisk milk and egg together until homogenous. butter and cook, pressing down gently with a turner, until golden brown. Flip and repeat with the other side. Repeat until you finish all the pan de sal. – Serve warm with generous drizzlings of honey. on her fingers is something she finds quite odd. will be missing the market this weekend. in my humble opinion. Have a wonderful weekend everyone! OMG, gorgeous! A terrific breakfast treat. 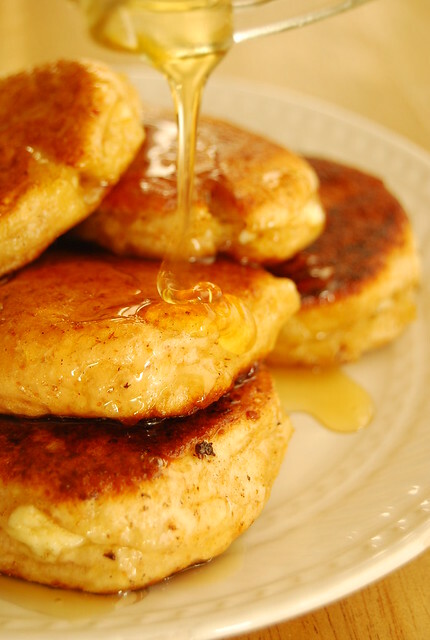 That's a perfect weekend breakfast and these must be so nice with bacon! gagamit ako ng kesong puti…lab et. This sounds wonderful and delish! your breakfasts are always wonderful. i think ill try that one sometime. That looks gorgeous. And definitely a much better treat then mcnuggets or the like! Hi Tracey! The weekend was wonderful! I love pancakes too, and French toast, and waffles…that's the danger for me! Haha! That sounds amazing! What protein would you suggest to go with it? Hi pinkc00kies and Shalum! Thanks and I loved it 🙂 Would definitely make this again…plus it's so easy!